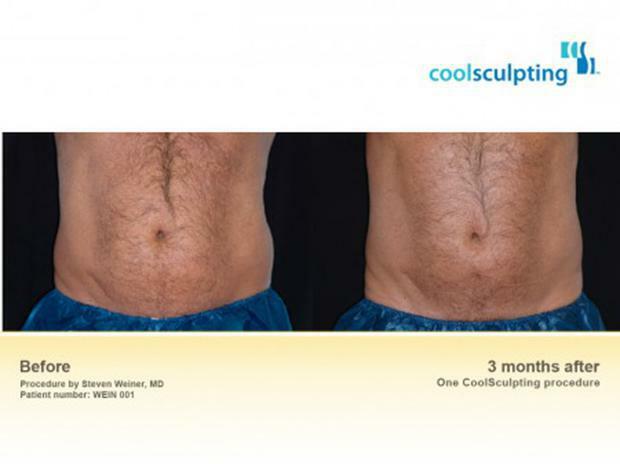 CoolSculpting for Men is an FDA-cleared procedure that chills away stubborn fat (like love handles and spare tires). It’s essentially a powerful vacuum with cooling technology that selectively freezes fat which is then naturally excreted. 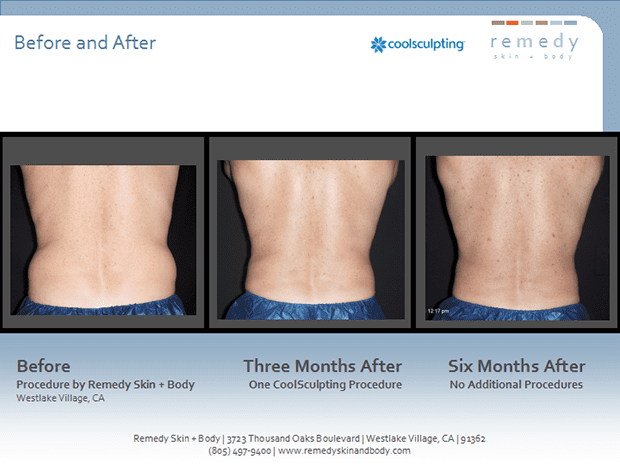 The bottom-line: one treatment, 25% less fat. 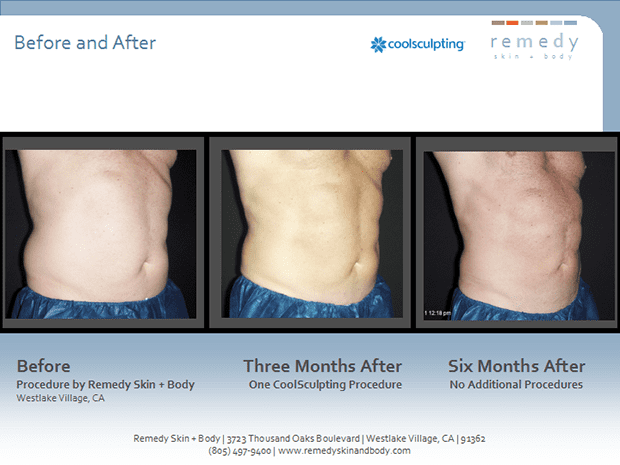 CoolSculpting for Men takes one to two hours and you can relax and read, surf on the web, or make phone calls. Once you’re hooked up, you have complete privacy. Afterwards walk right out and nobody will know but you. Over time, you’ll notice and so will they. We offer a full range of applicator sizes, the typical charge is $1,500 for a treatment, though small abdomens can be as little as $750. Multiple treatment packages, if desired, can be purchased at a discount.